The starting Trio of Worsley (Dave), Watson (Trystan) and Philip (Bruce) embarked on the long journey to PV stardom 10 years ago, what is now a large and successful group with an international reputation started off in the relative wilderness that was Dye Sensitised Solar cells. Having spent a few years as maverick upstarts, where, with the input of others, the concept of “buildings as power stations” and the entity we now know as SPECIFIC was hatched, the group has spent the last 10 years chasing electrons and publishing in excess of 70 publications. The group has also spawned a number of independent academics and a host of researchers and professionals for the wider world. 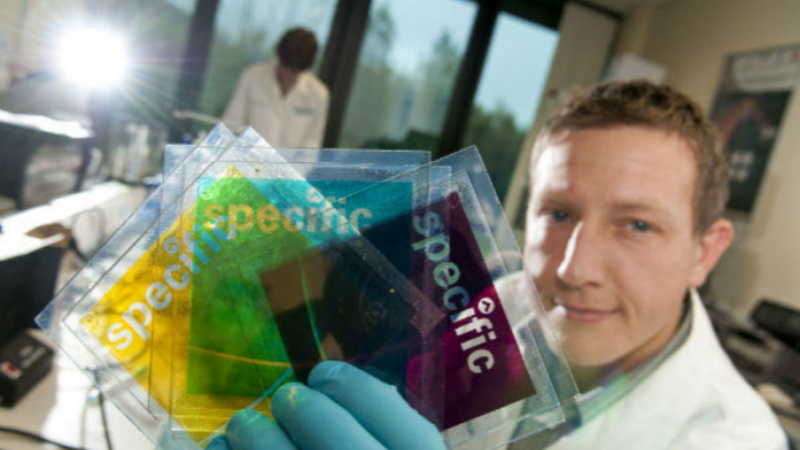 Swansea is becoming a UK centre for solar expertise and with our many links to partner institutions cover a huge array of disciplines and skill sets from fundamental photophysics through to large scale printing and coating. The recent review meeting at Gregynog included new Swansea academics as well as visitors from partner institutions and was a great event and showed the diverse nature of the work. The first results of a large scale trial creating A4 modules was discussed along with studies examining electron lifetimes and cell stability investigations as well as provide an opportunity for more ‘informal discussions’. So congratulations are due to all members of the group both past, present and future. This time next year we’ll have a building with Perovskite on it!